What is the length of this stick?..you need to include length in all descriptions to avoid people having to return sticks that aren't the right length. The standard length will be 60", the Long +3 will be 63"
Nice stick when not broken... very poor durability. Bought 2 of these and had them both broken the week after I got them. Would not recommend! Would this reviewer recommend this product? Never! Best feeling blade on a midkick stick, but won't last too long. Tried out the Dynasty HD1 in 2016, my first go at Warrior in several years. I have noticed that many reviews don't explain/compare blade feel. This stick has excellent blade feel, despite having a softer blade to complement the flex profile. It is as lively as a stick from the Vapor line (stiff blade, crisp feel), or the CCM Tacks line (extra stiff blade, very lively). Extraordinarily responsive, you can feel it and use your peripherals when stick handling, without having to 'lose' the puck, or look down to find it. The shaft dimensions are traditional size and width, but which feature heavily rounded corners with tactile grip spots are another amazing feature. Fits in your hands perfectly. There are no sticks out there that have shaft dimensions remotely like the HD1. Taking wrist shots/snap shots requires putting a bit more effort and power into it, than say a comparable mid kick Bauer Supreme or Easton GX, but shots come off quickly and obviously, powerfully. Taking slapshots is where this stick excels above all other mid kick sticks I've tried. It has a unique 'pop' to the release, that's difficult to describe. Compare a shot release with the power of an RBZ, but the smoothness of a Ribcor/Vapor. Add to that a velvety dose of effortless power. Try one out, you'll see what I mean. As far as durability is concerned, this is hands down the Achilles Heel of this model. The blades are notoriously weak along the seams, and crack easily. 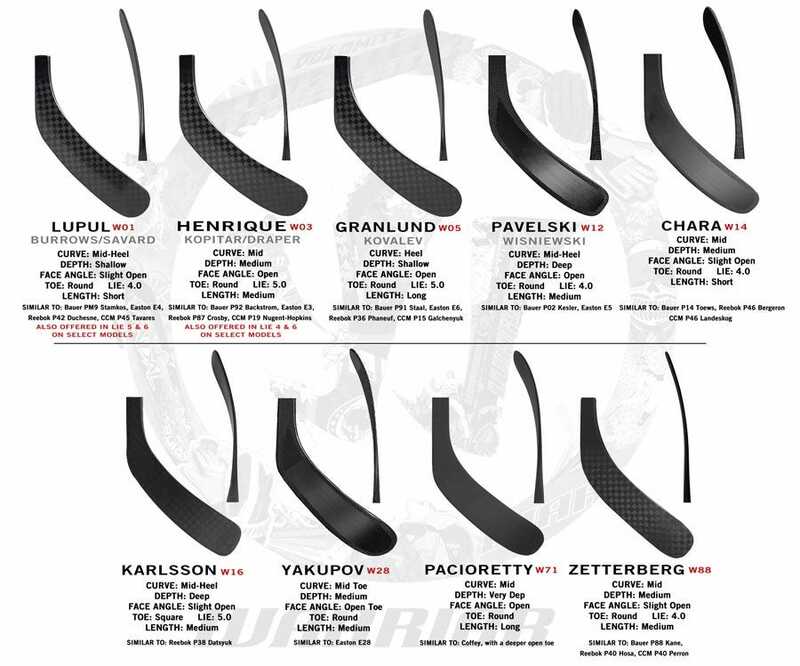 It's an issue addressed with the new Alpha QX line, but be warned - digging in the corner, or having someone step lightly on your blade will be the end of this twig. To summarize, fairly weak blade construction, but amazing performance and value! I bought 1 in October and the blade split along the bottom after about a month and a half. I bought another one in early December and not even 2 months later the blade is broke in the same place as the other one. These sticks were being used by a 14 year old girl who doesn't take slap shots. We are now looking for a new brand that will last longer. WE DO NOT RECOMMEND THIS STICK!!! We have purchased 5 of these sticks in the past 3 months. 3 of the 5 sticks have broken just past the warranty period. One of the sticks broke within the warranty period and was replaced but only to have the replacement stick break within 2 weeks of receiving it and Warrior will not replace a replacement stick. We DO NOT recommend this stick as it appears to be poorly constructed and breaks easily. I bought two of these. The first one broke after a few games and the second one did too. Warrior replaced the first one but the second one was past the 30 day warranty. The stick is nice when it isnt broken. It is a little heavier than a QRL but I feel like it was better for slap shops while the QRL is a little lighter and better for snap shots and wristers. I'm giving it one star because I had two break in the same place after the same amount of usage which was only about 3 games each. I also had the HD Pro before this that broke in about the same amount of time as well. I would stay away from this stick unless you have money to burn or if you are just ok with a good stick that lasts a few games. Warrior Hockey will replace any defective composite sticks or shafts, for 30 days after purchase date. The product was not damaged by contact with a skate, stick, boards, goals, bench, another player, etc. Warrior, upon receipt and approval of your return, will send a replacement product of the same model. If the style is no longer available, Warrior will replace it with a product of equal or greater value. The ability to upgrade returned products is not offered.